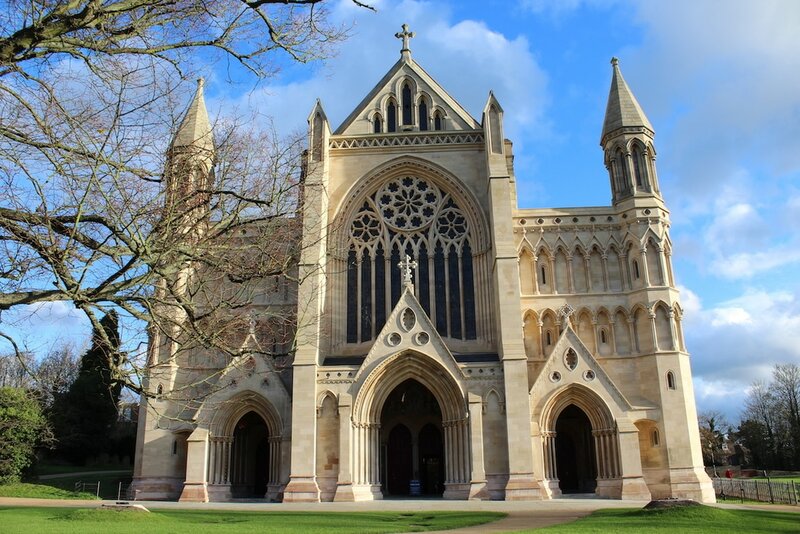 St Albans Cathedral, in the city of St Albans, Hertfordshire, is the oldest site of continuous Christian worship in Britain and stands over the place where Alban, Britain's first saint, was buried after giving his life for his faith more than 1,700 years ago. The place where he was buried became a place of worship and pilgrimage. Down the centuries, countless pilgrims have come to honour the saint’s sacrifice and offer their prayers at his shrine – and they still come in their thousands today. The town of St Albans grew up around the shrine as a place of hospitality. Today's St Albans Cathedral – officially known as the Cathedral and Abbey of St Albans – was completed in 1115 under Abbot Richard d’Albini. ​a forbidden religion in Roman Britain. 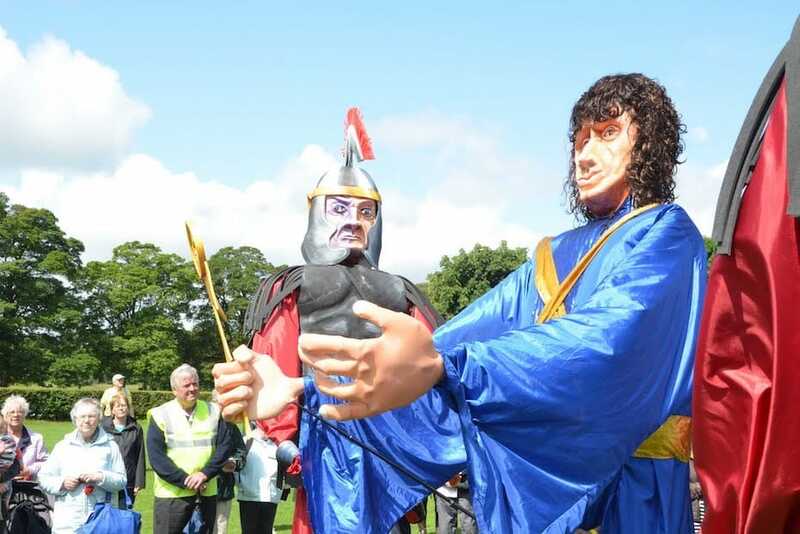 Alban was arrested and declared that he worshipped and adored 'the true and living God, who created all things'. The magistrate ordered that Alban should receive the punishment due to the priest. He was led out of the city and brought to the site of execution where he was beheaded. Alban's grave became a place of pilgrimage and around it grew a Benedictine community, replaced by a large Norman Abbey in 1077, the remains of which are still visible in the tower and parts of the cathedral. This is the oldest surviving place of Christian worship in Great Britain. ​Tradition claims that a monastery was founded under the rule of St Benedict in 793. This required that all guests were received as though they were Christ himself. As home to St Alban's shrine (above), St Albans was prestigious and for centuries was England’s premier Benedictine abbey. ​Many pilgrims came to pray at the shrine, including kings (Henry III is believed to have made nine visits) and St Albans became a centre of learning. Perhaps the most successful son of St Albans was Nicholas Breakspear, who became the only English pope, Adrian IV, in in 1154. ​as Green Pilgrimage City participants. ​St Albans has created a theological statement for St Albans as a Green Pilgrimage city. You can download it via the link below. that he freely gave his life to save a hunted Christian.